Early April, springtime, is usually a good way to start the season. 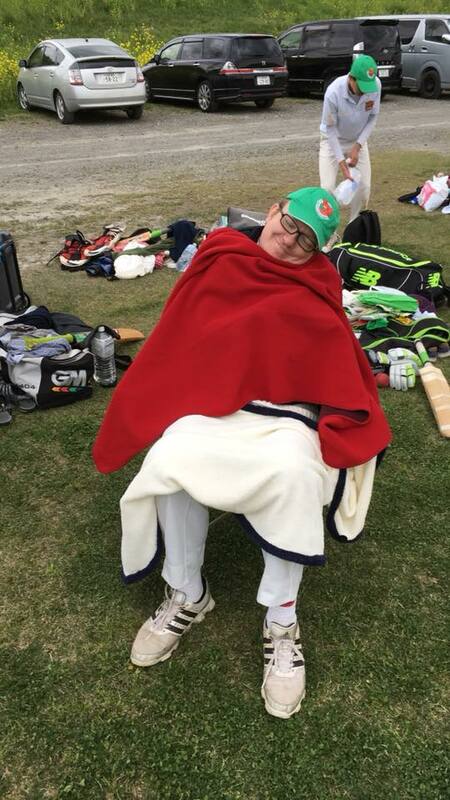 Plenty of sunshine, moderate weather and calm winds are the norms and would help ease into playing cricket after gaining weight over the winter. The past few days have also indicated the same. 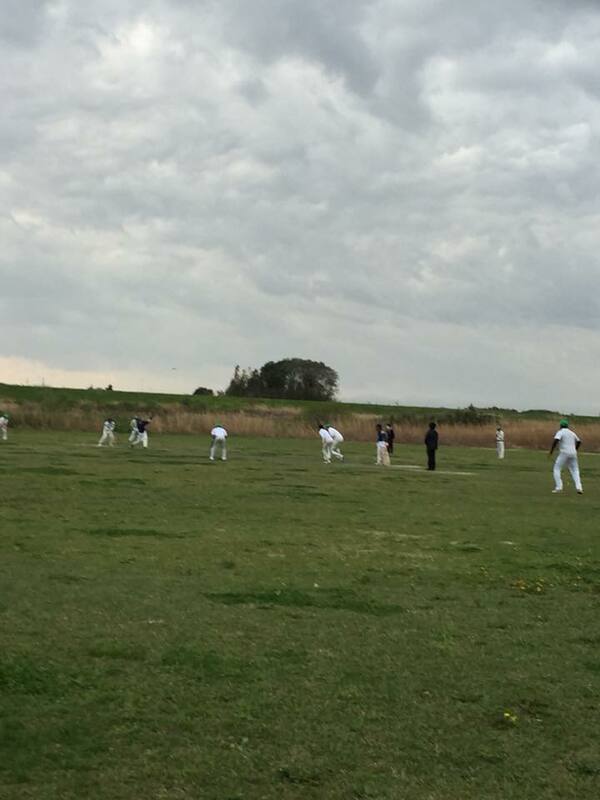 However, Sharks and Sano 2nd XI had the delight of playing in completely opposite circumstances. It was brick cold, strong winds and barely any sunshine to begin with. The 2nd XI was looking excellent with the newly appointed captain, Neel Date and the experienced Anton as vice-captain. To anyone who doesn’t know Neel, it might seem odd for him to lead an adult team. But for those of us who know him, there wasn’t a shred of doubt in his capabilities as both a player and as a captain. 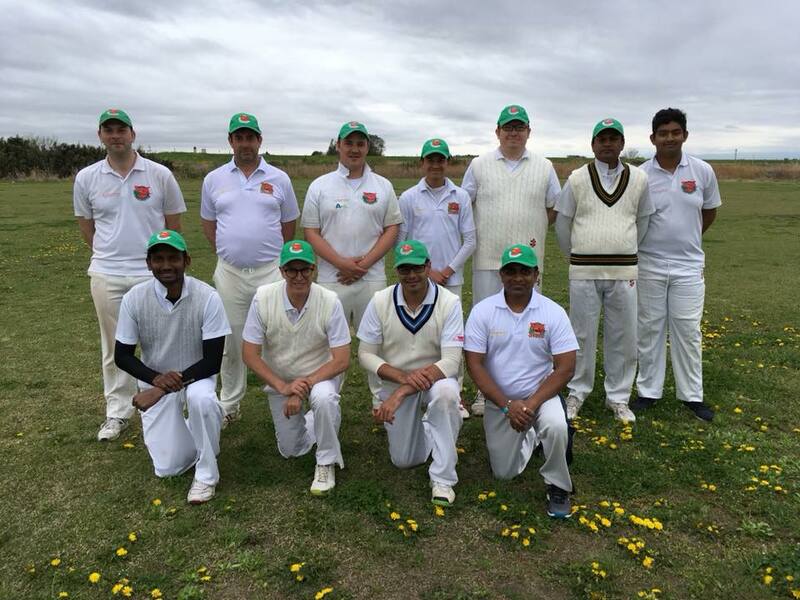 Most of the regulars for the 2nd XI were present along with new Sharks, Cheesy and Sriram. Welcome to the team! Neel won the toss and decided to bat first, put a large score on the board and defend it with out menacing bowling attack. Opening the batting were Dave and Kavin, a left-right combo that was sure to disturb the bowlers. Kavin took strike and the match commenced. After rotating the strike thoroughly and hitting a straight drive over the bowler, Kavin decided to “sensibly keep Dave off the strike”. Dave was undoubtedly looking magnificent with his stroke play, punishing the bad balls whenever he got any. Nothing was getting past Dave unless he wanted it to. After sensibly batting for 8 overs and having a 49 run partnership, Kav decided to take on a half-tracker and fail miserably, hitting the bottom of the bat and getting caught at mid-wicket. Anton was the number 3 batsman who had prepared a treat for the spectators. While Dave was absolutely dominating the bowlers, Anton took his time and played himself in. His personal best was 26, which he came close to in a few overs only. His timing was simply superb, much like Dave’s. After a fantastic partnership of 69 runs, Dave got stumped at 75. He clearly dominated the bowing attack, featuring two sixes, and a lot of fours. The rest of the Sharks and even the opposition can learn a lot from his batting. Anton offered a false stroke and got caught and bowled. 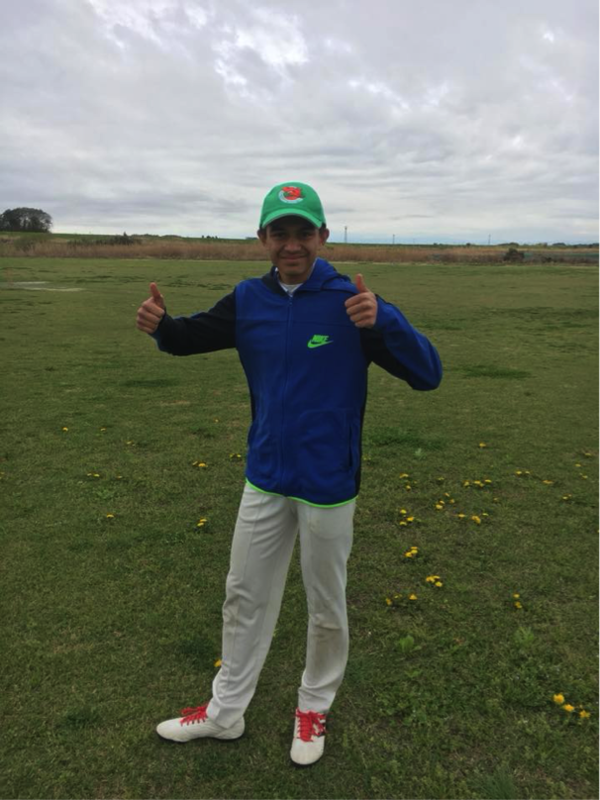 High praise to Anton for passing his personal best and scoring 47 runs! This incidentally passes most of the Sharks’s highest scores! Coming in at 4, 5 and 6 were Miraj, Sriram and Cheesy who got out swiftly with scores of 1, 0 and 0 respectively. Quite unlucky and they are sure to fire later in the season. Coming back from a training academy in Australia, Marcus was anticipated to score big. Unfortunately Marcus was victim to an unconfident LBW decision by the umpire and was sent back to the pavilion for 6. Vicky and Neel were in at 8 and 9 and out on a small partnership. Both of them were in good touch and were rotating the strike almost every ball. Neel got out, victim to a rushed flick shot straight to mid-wicket. KB and CM stayed not out and totaled our score to 202 for 9 wickets in 40 overs, which is quite a rare occurrence for the Sharks. With a good score on the board and a viscous bowling attack, the stage was set for sweet revenge against Sano, which was definitely served cold. The skipper and Vicky were leading the bowling attack and neither of them failed to deliver. Neel started off nicely with his precise line and length, resembling an experienced bowler. It seems everything Neel does is addicting to the spectators, from his excellent bowling, classy batting and his stubborn fielding. The rest of the Sharks were also excellent on the day. Vicky was the other opener who displayed his maturity and patience with his consistent lines, not allowing the batsmen to settle. Perhaps the best and most under-rewarded bowler of the game was the first change bowler, Chris Molloy. His leg spin was lethal and it was through sheer luck that the batsman survived his spell. He starts the new season with plenty of new variations that he has added to his arsenal and will be crucial. Dave was the 4th bowler up and he delivered exactly what was expected from him. He got 3 wickets, 2 of which were from “stunning” deliveries (half-volleys outside off-stump -> caught at point by Neel). The other two spinners, Kavin and KB were up and picked up 3 wickets in total in the spell (Kavin with 2, KB with 1). Cheesy was the last bowler for the day and he bowled terrific! He bowled 2 overs where he only gave away 3 runs! He has a very “Anton-ish” line with his signature flighted off-spin deliveries. Neel cleaned up the tail with 2 more wickets landing him with a total of 3 wickets. It has to be noted that Marcus did great work behind the stumps, not only catching an edge off the opening batsman through Neels bowling but also stumping the number 4 batsman and 2 others. All 4 appeals were not given out! The sharks were in shock especially about the stumpings, which could’ve been seen even by deep fine-leg! Apparently the umpire found his counter more amusing than the game at hand. Nothing seemed to be getting past Marcus during the match and his keeping was mention-worthy. A very young batsman from Sano, Shu, batted really well. His forward defense was solid and it was quite hard to get him out.